Steven (Chicagoland, United States) on 7 October 2014 in Plant & Nature and Portfolio. The Fittonia Plant (Nerve Plant/Mosaic Plant) is native to the tropical rainforests of Central and South America. It gets its nicknames, Nerve Plant or Mosaic Plant, because of the distinct veined appearance of its beautiful ornamental leaves. These veins are always a different color than the rest of the leaf and can be white, pink or silver. 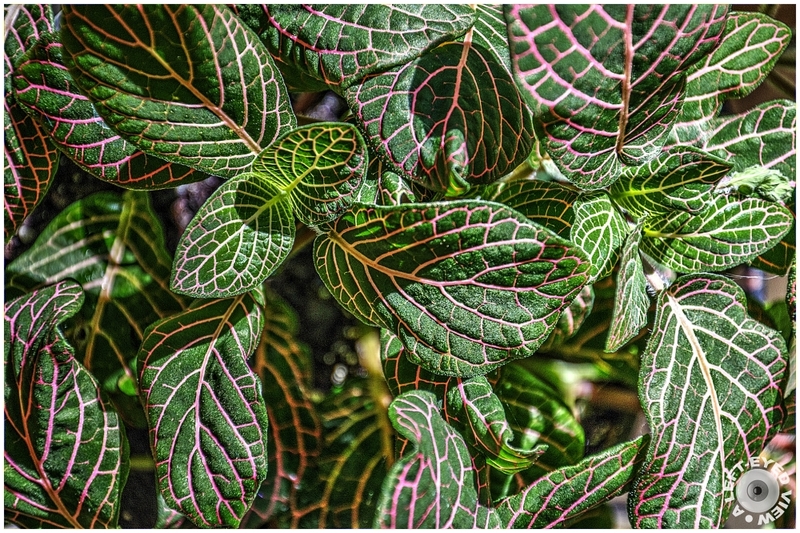 The leaves of a Fittonia are about 2” long, green in color, and are attached to fuzzy stems. Photo captured September 23, 2014. Une magnifique palette de verts…. Stunning shot of leaves in details and nice colors. Excellent PoW. Simple and efective. such beautiful frame, focus, colors, lighting & textures! Bonsoir, magnfique photo, on voit très bien les détails, j'adore, bonne soirée ! Very good tight framing. Excellent visual. fascinating natural patterns and textures, perfect colour scheme ! Such a beautiful plant, with those contrasting colors, and the vein-like patterns. I love the frame full of these plants. The leaves are amazing. Sweet.I like all the sharp detail in the leaves. Love it that the veins are pink ... great focus, Steven. Gorgeous colors. What a beautiful plant! A wonderful image!